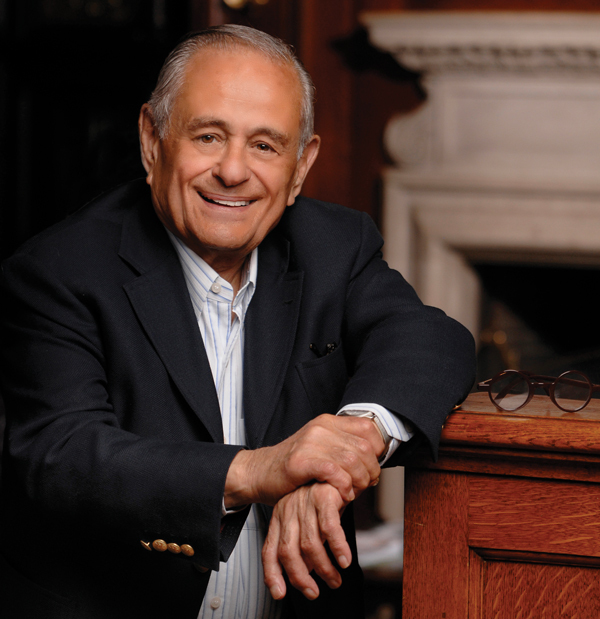 In a wide-ranging career as an entrepreneur, inventor, Hollywood producer and philanthropist, alumnus Maurice Kanbar has exemplified the attitude, drive and creativity that motivate the innovative Kanbar College curriculum. Formally named the Kanbar College of Design, Engineering and Commerce in the Spring of 2012, the College teaches students to integrate design, engineering and business knowledge to solve real-world problems. When people ask Maurice Kanbar ’52, H’03, where he got the idea for the first multiplex theater on the East Coast or his top-selling sweater comb, he tells them: at a dinner party and a dude ranch. While these places may not sound like innovation incubators, the “inspiration for inventions can come from just about anywhere,” Kanbar wrote in his autobiography, Secrets from an Inventor’s Notebook. “But the keys are observation and curiosity.” Indeed, it’s not a coincidence that these two traits are fostered in Kanbar College of Design, Engineering and Commerce at Thomas Jefferson University. Maurice Kanbar, did, in fact, begin his inventive path at a dude ranch in 1964, when he pulled away from a wall and became fascinated with how cleanly the sand crystals in the concrete removed the pills from his sweater. Kanbar, who studied engineering and chemistry at PhilaU, used his knowledge to replicate the effect of the concrete wall by designing a brush using coarse fabric, glue and aluminum oxide crystals. He filed for a patent for his sweater comb invention and raised $1,200 to produce his prototype. He engineered the product, developed design and packaging for it, and sent samples and order forms to department store buyers: the D-Fuzz It Sweater and Fabric Comb was born. Kanbar and his business partner made more than $200,000 the first year selling the comb, which remains profitable to this day. Kanbar’s first big hit was far from his last. His list of inventions include the Greenwich Village’s Quad Cinema—which he developed when he became curious about the movie theater business after chatting with an acquaintance at a Manhattan dinner party—and a host of other products including SKYY Vodka and 36 patented devices. He also produced the animated movie Hoodwinked! Along with his professional success, Kanbar has been an avid philanthropist, through the Kanbar Foundation and his support of various charities and educational institutions in addition to Thomas Jefferson University. In particular, however, his support of Kanbar College of Design, Engineering and Commerce is closely tied to his beliefs about giving students the ability to succeed and lead interesting lives. With his donation of $15 million—the largest gift in University history—in support of Kanbar College, Maurice Kanbar continues his unwavering support of his alma mater. He previously donated $6 million for the 2006 construction of The Kanbar Campus Center, donated another $1 million in support of student scholarships in 2013 and continues to support innovative student work with the Kanbar Design Awards given at the Annual Senior Design Show.